WordPress is one the most popular Content Management System (CMS) offering an extensive range of features to its users from creating a simple blog to a fully functional website. 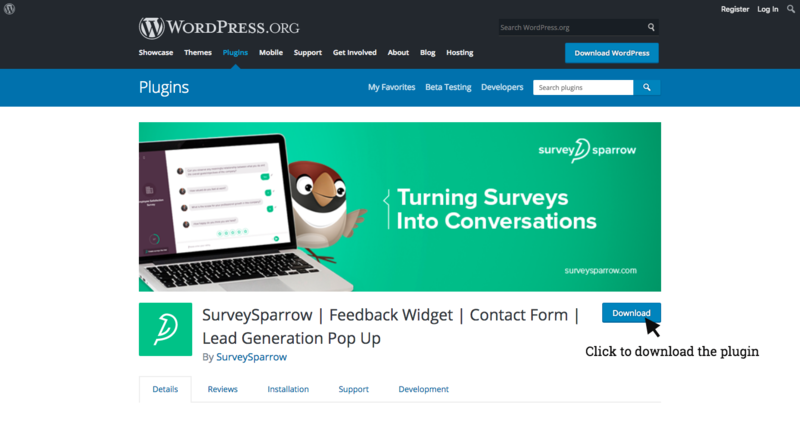 If you want to know how well your blog is performing or you wish to know the feedback about the website you run, SurveySparrow WordPress Plugin can help you with this. 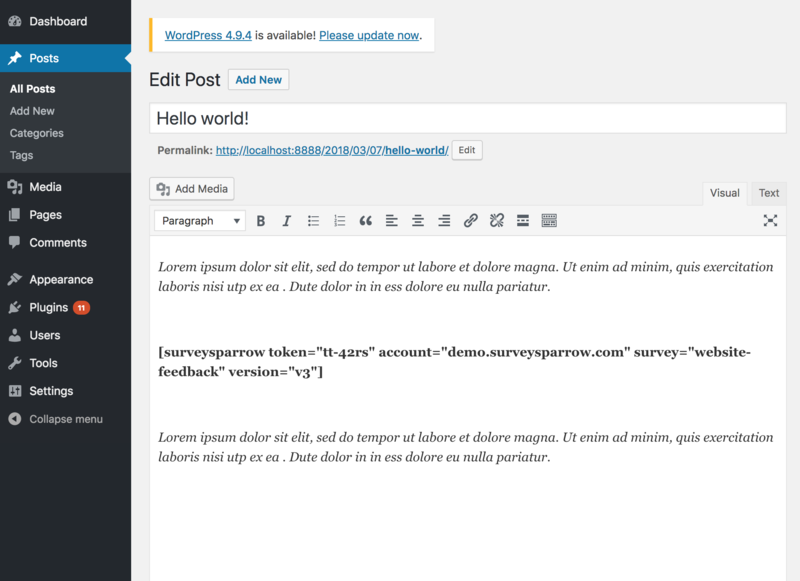 Installing the plugin will enable you to integrate surveys into your WordPress Webpage(s). These surveys can either be auto-triggered, invoked by the user or embedded in a section of your webpage. In your WordPress Plugin page, search for SurveySparrow plugin. Click to download and install the plugin. After building the survey, click on the Share option. 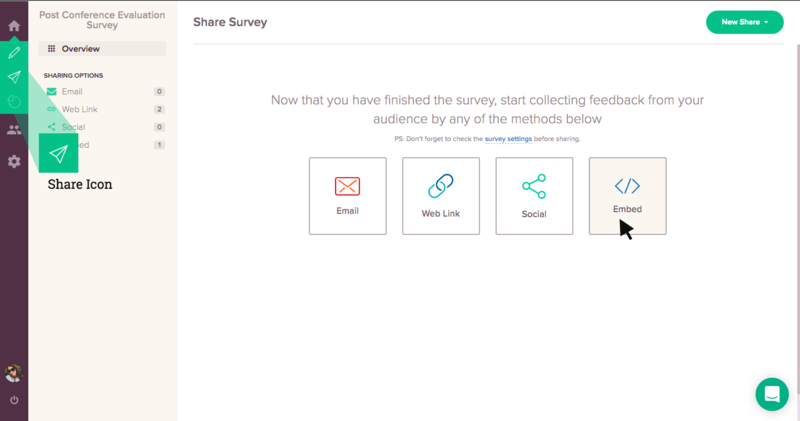 In your Share Survey Page, Click on the Embed option. 3. 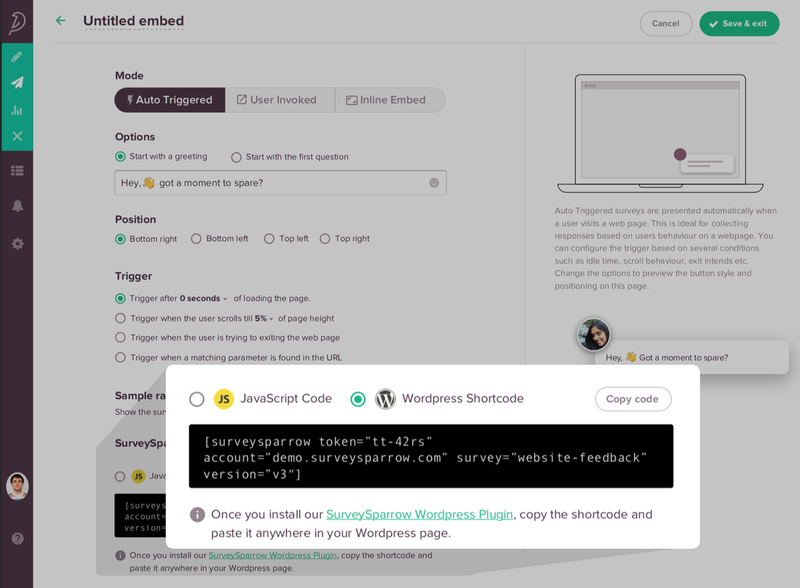 Click on the WordPress Shortcode icon to fetch your Shortcode for the survey. 4. Paste this Shortcode in your WordPress Webpage to Embed the survey in your website or blog.